To develop mutually beneficial relationships with people interested in creating and maintaining a professional, affordable web presence. I Am Designs is committed to creating and maintaining a personal and professional model of Organic Synergy, where the personal philosophy of the individual is respected while working for collective good. In 2000, Maureen realized that her education, experience, and personal beliefs made self-employment the only sensible course of action. She has worked hard to combine the following into a sustainable, enjoyable lifestyle. Open communication, a non-competitive atmosphere and a dedication to win-win situations empowers clients to make safe, well-informed choices about the level of service they receive. Maureen and the entire "I Am Designs" team are uniquely suited to serving this clientele, because they too run businesses that fit this description! Maureen has worked hard to bring together a group of like-minded, independent entrepreneurs. They are highly skilled in their respected professions, and have agreed to combine their professional talents to serve your needs as a small business owner. In this organization there is no “boss” or “employee”. See our menu of services to see what we can offer your business. Each team member operates independently which minimizes overhead and administration costs. They are Entrepreneurs, with ingrained understanding of what it takes to start and develop a sustainable company. As a team, they firmly believe access to technology shouldn't be based solely on a company's profit margin. Even though the combined professional training and experience you access through I Am Designs could easily command double the current rates, it isn't the way Organic Synergy works. As a team, our goals include win-win situations and mutual profitability. What does the future look like at I Am Designs? Maureen and the rest of the team envision a world of passionate business and wholistic wellness. We intend to grow together as a group, as well as individually. We would one day like to be the "norm", not by emulating big business, but by helping small, simple businesses become a bigger part of a sustainable national and international economy. I am so very glad Maureen Abram came into my life; I met her in 2002, when I attended a seminar on Internet Marketing she was teaching. I had a website; however I was not pleased with how the previous web designers worked with me and/or treated me as a client. Maureen was my third personal experience; and I feel like I hit the home run… After the previous experiences, now I truly understand what it means to have an excellent web designer. Over the years, Maureen has become my friend and understands my needs which I truly appreciate. She is very patient and innovative. I appreciate the new service Maureen is offering her clients; we work as a team and blend our efforts which assist in getting our project assignments done. While working together we can have instant feedback on what works and what needs changing. 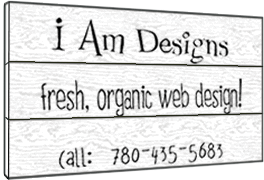 I highly recommend Maureen for all your website design needs and her assistance in hosting and marketing your website. An excellent website is nothing without exposure! !